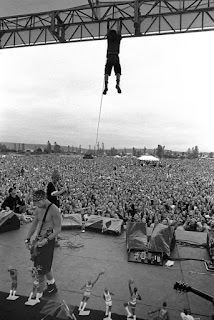 The Porch - All Things Pearl Jam: Eddie Vedder hangs from the catwalk - Crazy Picture! Eddie Vedder hangs from the catwalk - Crazy Picture! Did you notice the little Bulls figurines?